This just screamed spring and here in the U.S., it seems to finally be showing up. 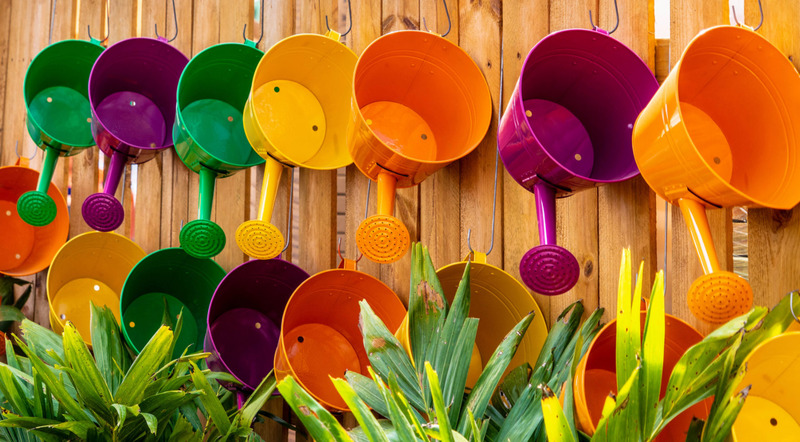 I love the vibrant and happy colors in this and the whimsicalness of the watering cans as a decoration. So many places we visit when we are traveling have wonderful shops, parks, and gardens. As tourists, we tend to gravitate toward all the historical tours, city tours, and all the typical tourist spots. Shots like this remind us that wandering around the local neighborhoods can allow us to find some hidden gems we wouldn’t have seen if we hadn’t gone off the beaten path.